we cordially invite you to the opening of subsensorialXYZ by artist Pia Lindman on Thursday 28th February 16 - 21h at SOLU Space Luotsikatu 13, Helsinki. 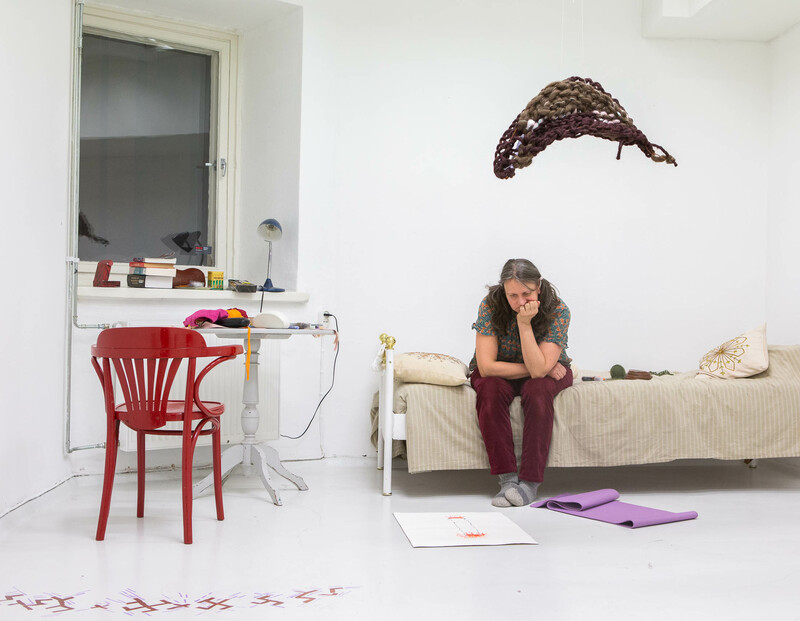 From Feb 1st to March 13th Pia Lindman tunes into SOLU Space as a surroundings and a materiality, mapping it's environmental sensibilities and complexities. Lindman will sojourn in the rooms of SOLU Space, exploring what effect they have on her as a multisensory system and organ, at different times and with a variation of visitors and events. In an ongoing process Lindman will compose and assemble diagrams, notes, markings, and sculptural elements onto the walls and in the rooms of SOLU Space to locate, highlight and visualize her expereince. The opening will not mark the end of this investigation but is rather a snapshot of the above described process. The durational performance of subsensorialXYZ is finalised with the Epistemic Hospitality* event and series of dialogues on 13th of March at SOLU Space. *Epistemic Hospitality is part of the 2019 FRAME program Rehearsing Hospitalities, realised in collaboration with Bioartsociety, Instituto Iberoamericano de Finlandia and the Goethe Institute Finland.